When Justin Bieber decided to eliminate the VIP meet-and-greet option from his Purpose World Tour, fans were disappointed. According to Bieber, such interactions left him “drained and unhappy,” as posted in an Instagram post. Fans who had already purchased the costly option—that can cost upward of $2,000—were unable to get a full refund. But fans who had already purchased the costly option—that can cost upward of $2,000—were unable to get a full refund despite cancellation from the superstar, himself. Initially, it was an all or nothing choice, choose to go to the concert or not attend at all. That has since been changed, and fans are now able to get their money back. Fans were able to snap photos with a cardboard version of Bieber. 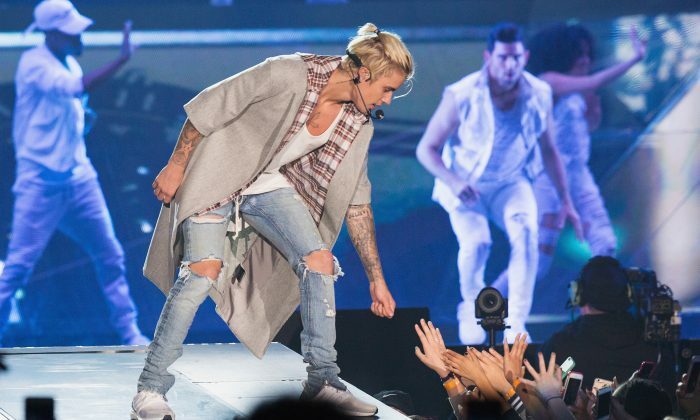 Fans were able to snap photos with a cardboard version of Bieber, who was dressed in a plaid shirt, ripped denim and white sneakers, backstage. Fans of Bieber and other commenters expressed a mix reaction to the news of the apologetic singer forgoing the meet-and-greets. Some fans were understanding of Bieber putting his health first, others were not so forgiving, unamused that Bieber’s camp weren’t offering a partial refund. Read some of the reactions below. How pathetic @justinbieber cancelling his meet and greet after people have paid. No respect given to people who have paid so much money.